Angelo Ogbonna Shows Promise But Brendan Rodgers Should Wait Before Snapping Him Up | The Transfer Tavern | Where football transfer rumours fly or die! Rarely a day goes by without at least one player being linked with Liverpool, such is the anticipation that Brendan Rodgers is preparing to make wholesale changes at Anfield when the transfer window opens in January. The latest name to be linked with a move to the Reds is Torino’s Italian international Angelo Ogbonna. The 24-year-old centre back is reportedly at the top of Brendan Rodgers’ list of potential defensive additions to the squad. 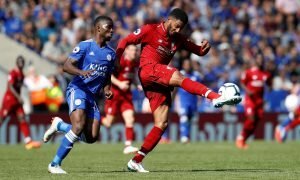 After leaking goals in the early stages of the season, Rodgers will be keen to establish a solid centre back partnership as he looks to cement his own mark on the Liverpool first team. Additionally with Daniel Agger’s future at the club not entirely certain, Rodgers may be forced into changing his centre back partnerships before the winter transfer window shuts. However questions remain whether Ogbonna has the experience that Rodgers is looking for. Despite making four appearances for the Italian national side, Ogbonna has spent the last three seasons playing in Serie B.
Whilst the 24-year-old has the talent to establish himself as a leading Italian centre back, he is likely to need more time to adapt to playing football at the highest level. However much depends on how Rodgers sees the club developing over the next couple of seasons. It is widely reported and expected that the club will make significant alterations to the playing squad in an attempt to rejoin the top four of English football. 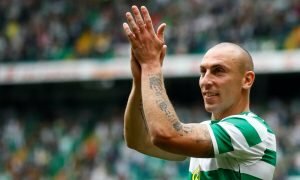 Yet in order to achieve the targets that Rodgers has set out for the club, then the Northern Irishman will have to be meticulous in both his tactics and his dealings in the transfer market. Despite the promise that Ogbonna possesses, Liverpool are better to allow the £10m rated defender to remain in Italy, at least for the next couple of seasons in order for him to develop, rather than run the risk of making a costly mistake.